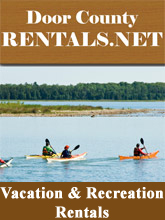 Door County is full of adventure, fun and romance with it's scenic surroundings and exciting activities. Door County has something to please everyone including the young and young at heart. Door County is also known for its splendid wineries, breweries and distilleries. Don't forget to explore the Door County Wine Trail. The wine trail is composed of eight unique wineries. Spend a day or two traveling the wine trail and exploring the memorable wineries.